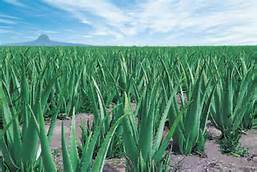 Aloe vera has been a popular garden plant and a favorite in the cosmetics and its many medicinal benefits. 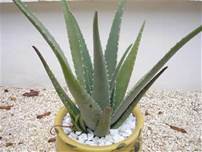 Aloe vera is stemless that can grow 40 inches tall, with its green leaves that are thick and fleshy with sharp spiky sides. Botanists and scientist found many possible bioactivity in aloe vera like phytochemicals, polymannans, acetylated manne, C-glycosides, emodin and vaious lectins. But for most gardeners, aloe vera is mainly an ornamental plant with interesting flowers. It can grow in the ground or in pots under bright and sunny conditions. 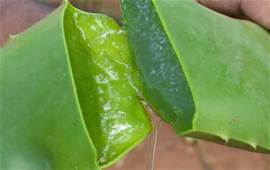 But like any other plants, aloe vera plants need to be watered everyday to retain its moisture. With the modern research of how beneficial aloe vera to our body and surroundings, here are some of the important benefits you can get from ale vera. Prevents kidney stones and protects the body from oxalates in coffee and tea. Helps in balancing acidic dietary habits by alkalizing the body. Cures ulcers and other digestive disorders. Provides vitamins, minerals, enzymes and glyconutrients to the body. Balances electrolyte in the body as a sports drink. Boosts cardiovascular performance and physical endurance. Can boost your immunity by stimulating white blood cell activity, which fights against viruses. Can help banishing the bruises quickly. As an antibacterial and antifungal, it helps to treat bad breath. Can use as hand sanitizer. Can be use as makeup remover and shaving cream. Can be use as face wash.
Can be use as lip gloss. Can be use as skin exfoliant.